Aside from celebrity hotels, funky art galleries, traffic jams and impossibly beautiful people, Miami offers plenty of attractions for the casual visitor, even if your time here is limited. 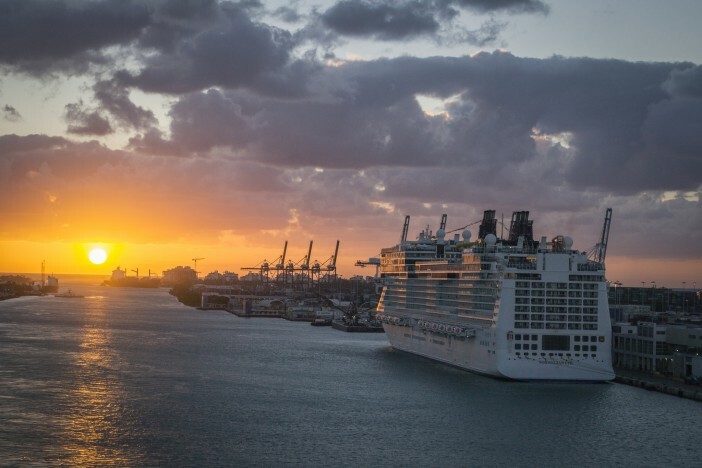 Miami has for decades been considered the Cruise Capital of the World and its port welcomes more cruise liners and passengers than any other. For those making only a flying visit, we’ve compiled a list of essential things to see and do after you dock into the ‘Magic City’. The South Beach area of the city is most likely what you envisage when thinking of this famous Florida metropolis. This trendy and fashionable stretch is quintessentially Miami, and has a distinct atmosphere unique to anywhere else in the world. Despite Miami’s size and popularity, it’s still home to dreamy turquoise waters and white sandy beaches and as South Floridans take such pride in their stunning part of the world, the area is always kept spotlessly clean, tidy and looking its best. If the beach doesn’t quite tickle your fancy, head to some of the many shopping malls, chic cafes, restaurants or art galleries in the area. Lincoln Road Mall is a particular favourite with the locals and tourists alike, and is the ideal spot for a bite to eat and some celebrity spotting. Originally built between 1133 and 1144, the Spanish Monastery located on Miami’s North Beach is culturally one of the most significant religious monuments, certainly in America, if not the entire western hemisphere. As Christopher Columbus didn’t discover the United States until 1492, this monastery can claim to be older than the country it currently occupies as it was first built in Segovia, Spain and was then dismantled, shipped across the Atlantic and rebuilt after it was purchased in 1925 by millionaire William Randolph Hearst. As well as being a city of all things modern, fashionable and trendy, Miami is also home to a wide variety of Art Deco architecture. The Miami Design Preservation League offer a selection of guided walking, bike or self-guided tours and is undoubtedly the best way to explore this city’s wonderful Art Deco heritage. Despite being very much in the heart of America’s sunshine state, Miami is heavily influenced by Hispanic culture and be sure to make the most of that whilst you’re here. The enormous Hispanic community in Miami have brought with them their culinary expertise and many restaurants around town offer wonderful traditional South American dishes combined with a North American influence to offer a truly unique and delectable dining experience. If you decide one day simply isn’t enough for you in this bustling and exciting city, perhaps use your extra time experiencing the magic of some of Miami’s top level professional sporting events? Being completely sport crazy, it’s unsurprising that Miami is host to top level teams within the National Football League, National Hockey League, National Basketball Association and Major League Baseball. Even if you’re not particularly crazy about sport, it’s impossible not to get sucked into the excitement of the atmosphere created by the passionate Miami locals for their sporting heroes. Take a look at this Celebrity Reflection cruise deal, which includes a free 2-night stay in Miami! Give our sales team a call now on 0808 274 6777 for more information.